Sometimes when working with a Table you want to make things simpler to understand by showing only the most relevant information. Other times, you want to maximize the viewable data, and reveal every column to get the full picture. 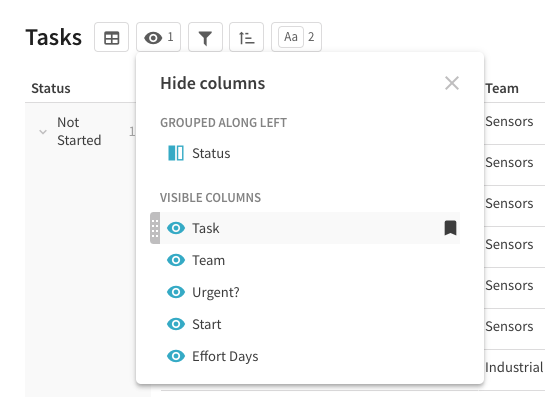 To show or hide columns, click the eye icon at the top of any table, and select the eye icon itself to show or hide any named column in the dropdown menu. If you ever need to change the Display column, simply hover over the column name and select the bookmark icon.